On an average day at Bitnami, we work with teammates from over 10 counties and 19 time zones. With all geographical hurdles aside, we are still able to collaborate and share in a company wide culture that is filled with some of the most talented people in the industry. Once a year, we bring this amazing team together to make our bonds even stronger and our goals even tighter. The Bitnami All-hands is something that each Bitnami employee looks forward to because it provides the extra spark that ignites a year’s worth of passion towards our company goals, and creates memories, pictures, and inside jokes that continuously get brought up in Slack conversations throughout the year. This year, we started our All-hands with one of my favorite things, the ice breaker, which let’s each of us meet the new faces in the room and kick off the week with a little fun. This year we did an activity called the “egg-breaker”, where each group had to create a structure for their egg that would protect it from a series of tests (like throwing it on the ground...hard). Not one group’s egg survived, so the activity reminded us that we should all stick to packaging apps instead of packaging eggs. One thing that has always amazed me about the Bitnami All-hands is the amount of curiosity that fills the room throughout each presentation. 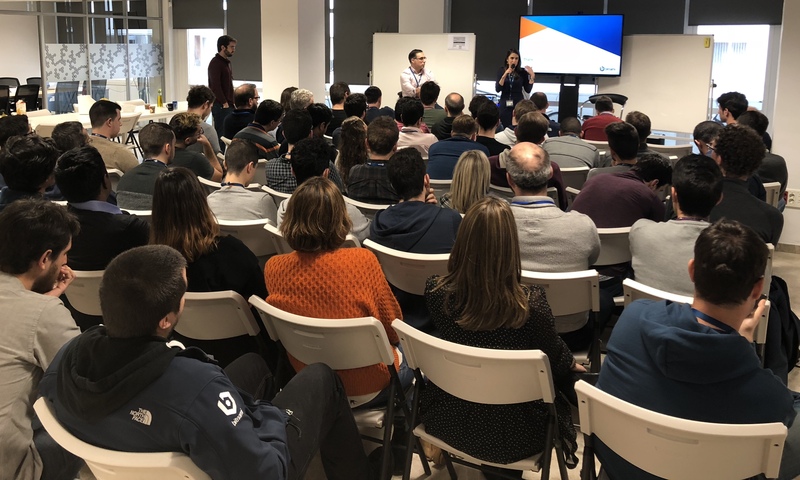 Even during our optional presentations, the room is filled with employees from all different departments and roles, who are truly engaged in whatever the session is about. The company does a great job of keeping everyone up-to-date on company objectives throughout the year during our bi-monthly demo meetings, but the All-hands is where they take it to the next level. Each executive presents the good, bad, and the ugly of the previous year, and then reveals the 2018 objectives that they expect to hit for the following year for their department. These type of presentations might sound boring to you, but this is the exact type of content that makes a Bitnami employee want to jump out of their seat to “Make it so”! After all the presentations were said and done, we hopped on a bus to Sintra, Portugal for a fun (no work) weekend away. 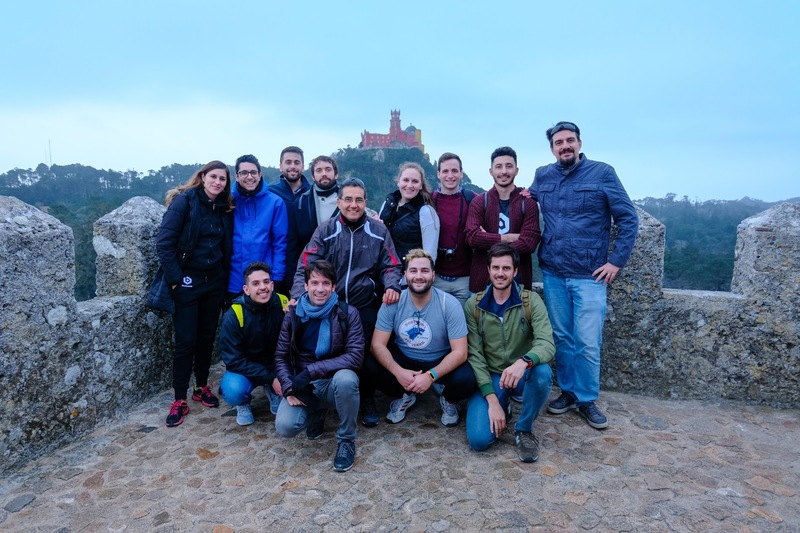 We had a blast doing a scavenger hunt at Quinta da Regaleira, exploring the many twists and turns of the Sintra Castle, and had an amazing party with a live band on Saturday night. Following the weekend away, our engineering team continued the momentum of the All-hands with an engineering sprint and a continuation of round table discussions about what’s next for our projects like Kubeless. They even finished our new website design, have you checked it out yet? I’d say this year’s All-Hands was extremely successful, and gave us all the momentum that we needed to kick 2018 off the right way. We’ve got the clear goals and the cross-team commitments it will take to execute! We can’t wait to show you all what we are working on. Stay tuned for some big announcements this week! 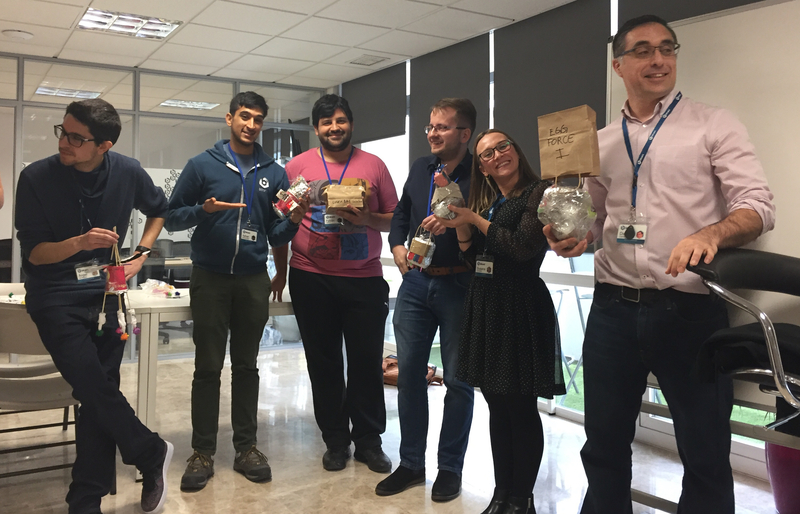 If you are interested in joining this amazing team and working with the latest technologies, check out our open roles here!